Cheryl, a former client of mine, was riding one of her regular routes, one she had ridden probably hundreds of times before. The only thing on her mind was whether she should get some climbing in, or loop back home on a flat route. So she didn’t notice anything unusual as a car approached from behind. But did the driver have to shave it that close, she wondered, as the car passed. A few hundred feet up the road, she noticed the car up ahead, pulled over on the side of the road. As she passed, she decided against saying anything to the driver, and just focused on her training. But a short way down the road, it happened again. The driver approached from behind and made another pass, even closer than the first. The car disappeared down the road. She was annoyed that the driver couldn’t seem to give her some room, but tried to let it go. Then the driver came up behind her again. He must have turned off onto a side road, she explained, because she hadn’t passed him this time. But this time, as he approached, he revved his engine and swerved at her as he passed. “Get off the road!” he yelled as he roared by. It was obvious now—he was messing with her. Every cyclist has had these run-ins. Every cyclist knows what it’s like to have some “random” driver mess with them. They buzz on a pass, or rev the engine, or blare their horn. They roll down their windows to give us a piece of their mind about what we are doing wrong. They throw things. They swerve at us. Sometimes, they hit us. All in the name of “traffic safety,” of course. For cyclists, Cheryl’s story isn’t “unusual,” it’s business as usual. There are drivers out there who see it as their right to menace us with their behavior. But trying to get somebody to do something about it can be hard. What you and the driver both see as harassment, police and prosecutors might see a little differently: Maybe the driver just miscalculated the passing distance. Maybe he was accelerating and that’s why the engine revved. Maybe he was just honking the horn as a friendly warning that he was passing. He yelled “get off the road!”? Hey, it’s a free country, even for jerks. Are you sure he swerved at you? And even if he did, you weren’t hurt, right? But some authorities do get what’s happening on our roads, and increasingly, cities are passing laws to protect cyclists and other vulnerable road users. For example, several cities in California have passed laws prohibiting the harassment of cyclists. These laws allow cyclists who have been harassed to seek justice by hauling the driver into civil court. Unfortunately, Cheryl wasn’t riding in California. She was riding in Wisconsin. Miles down the road, she noticed that the driver who had been harassing her had pulled into a parking lot. She called the police, and an officer came out to investigate. She wanted the driver held accountable for his menacing behavior. But he had a story, and Cheryl hadn’t been injured, so the officer didn’t see anything more than a minor misunderstanding. But what if Cheryl had been harassed in Los Angeles, instead of Madison? In Los Angeles, Cheryl could hire an attorney and sue the driver who had been harassing her. If she won, she could receive three times her actual damages, or $1,000, whichever is greater. Her attorney could receive attorneys fees (which explains how Cheryl would be able to hire an attorney to sue her harasser), and she could even ask for punitive damages against the driver. Of course, she would actually need to prove her case, but the law would only require her to show that it is more likely than not that the driver was harassing her in violation of the law. California cities aren’t alone in passing anti-harassment laws. The most recent city to stand up to these road bullies is Kansas City, Missouri, which passed an anti-harassment law earlier this month—making Kansas City one of six Missouri cities to pass an anti-harassment law. The laws that Missouri’s cities have been passing take a different approach from the laws passed in California: Under Kansas City’s new law, it is explicitly illegal to intimidate pedestrians, cyclists or others by threats, throwing objects, swerving a vehicle toward the person, or placing the person in apprehension of immediate physical injury. In Kansas City, the driver who accosted Cheryl could be prosecuted by the District Attorney, and if convicted, could face a fine or up to six months in jail. And these laws are just the beginning of a more ambitious project—the Missouri Bicycle and Pedestrian Federation plans to push for an anti-harassment law that would protect vulnerable road users throughout the state. Advocates look to state laws in South Carolina, Colorado, and Illinois for inspiration. Interestingly, Wilborn notes that police officers don’t have to witness the violation to enforce the law, and he has trained many police officers in the enforcement of South Carolina’s anti-harassment law. He has also worked in partnership with the Palmetto Cycling Coalition and the South Carolina Department of Public Safety to produce a PSA on the state’s anti-harassment law. But as South Carolina shows, we need laws to enforce. Although most types of harassment could already be prosecuted under existing laws, it isn’t always clear to drivers or law enforcement that aggressive acts against cyclists are against the law, even though it’s probably obvious to everybody that aggressive drivers are doing something wrong. But explicitly prohibiting specific aggressive acts sends a clear message to drivers and law enforcement that the behavior is illegal, and can be prosecuted. For most people, aggressive acts against cyclists are something that they haven’t experienced, and are probably unaware of. But as we saw when California’s 3 foot safe passing law went into effect this past September, passing a law can raise the public’s awareness of a previously hidden problem. And once the public is aware of a problem, the political will to change driver behavior can follow. 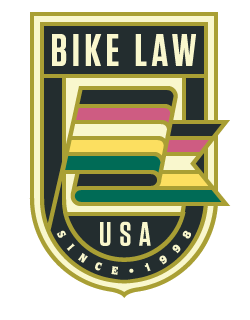 Connect with Bob at Bike Law and on Facebook! This article, Taking On The Bullies, was originally published on Bicycling on October 30, 2014.